Derrick Reimer has hosted 85 Episodes. The hype about Tuple is real! Ben’s been busy adding a bunch of new customers. He’s selling and delivering the dream. Derrick is back after mentally struggling in the midst of moving, which meant a week of zero productivity on Level. Now, he’s in a better place, mentally and literally. Who’s the mystery voice that only gets better as you listen to this episode? Actually, you’re probably already familiar with the work of the man behind the microphone. Derrick is busy moving to a new home, so Ben’s co-host is Brian Casel of BootstrappedWeb, ProcessKit, Audience Ops, and Sunrise KPI. Ben and Derrick are back from MicroConf. There were plenty of solid talks and takeaways to help them think, theorize, and hypothesize about moving forward with their products. Also, Ben presented two Starter Edition sessions: Q & A with Rob Walling and Idea to Validation to Launch: The First 365 Days of Tuple. Derrick and Ben have descended upon Las Vegas for MicroConf and an audience hungry for valuable tips on how to successfully start and grow a business. Ben will have two Starter Edition sessions: Q & A with Rob Walling and Idea to Validation to Launch: The First 365 Days of Tuple. Derrick is still traveling. So, Ben’s co-host for this episode is Honeybadger Co-founder Ben Curtis. Honeybadger offers an application health monitoring tool featuring an easy-to-use platform with exception, uptime, and check-in monitoring. Since its creation about seven years ago, Honeybadger’s three founders - Curtis along with Starr Horne and Joshua Wood - cranked out all the work. However, the company added a marketing person a few months ago and recently hired its first developer. Derrick’s been traveling and finding inspiration from re-reading Deep Work, a kind of manifesto of what Level stands for. He’s discovering how to position and market Level, as well as recognize things in his own work patterns that need to change. Ben’s been feeling anxiety and thinking about Tuple’s broader mission and impact on the world. He believes deep work can be accomplished through the powerful practice of pair programming. Ben shares that Tuple is now out of alpha and into beta, which is an arbitrary marker of stability and feature ability. The move is working as planned by serving as a way for customers to choose to opt in or out, depending on if they want it now or wait until it’s launched. Derrick choose to steer away from such labels with Level, but understands they might have been beneficial to clearly denote the product’s progress. We all freak out about things from time to time. Ben becomes neurotic about feedback, but fellow Tuple team members have different triggers that put them into a tailspin. Fortunately, Ben has found ways to better handle stress. In this episode, Ben and Derrick are joined by Sebastian Marshall, co-founder of Ultraworking. In previous episodes, Ben has mentioned Ultraworking and how he has benefitted from it. Ben’s been checking in with Tuple users to find out how things are going. Things aren’t working perfectly with the product. Before this feedback, he was feeling pretty good about things. It’s not the feedback’s fault, but Ben focusing too much on it. Derrick can empathize with Ben because of his experience with Level. It takes just one negative outcome to have an irrational impact on your mental state. Reset your perspective! Derrick’s been on a startup roller coaster. It’s been one of those weeks for him. So, he’s grateful for Scotch! He just factors it into Level’s budget. Along the same lines, Tuple bought lunch today for its staff. It feels free, but Ben doesn’t think you can write off such expenses, even if you talk about business between bites. Ben is thankful for Tuple’s success so far. It is helping companies improve efficiency and countries improve the quality of their residents’ lives. Derrick also expresses gratitude for companies being interested in his product, Level. He is setting up a specific team in Level and addressing concerns to convert them. Do you lack energy or motivation at work? Ben tried a new service called, Work Gym from Ultraworking. He found it worthwhile and got a lot of work done on Tuple that he had been putting off for quite awhile. Tuple is about to reach a major milestone - recent PR deployments mean no more global list of online users. Derrick has also been addressing how to set up companies, teams, and individual users interested in trying Level. So, he hasn’t intentionally built any billing model into the backend of Level, yet. Ben has been experiencing a mix of emotions. Thanks to Tuple, his calendar is packed, and he’s getting more emails, people, and trials. It feels nuts, but it feels like things are working with the new product. It’s a crazy spot to be in, but it feels good. Every day, Tuple gains a little steam. Derrick feels the same way. He has started doing onboarding calls for Level. Now that he has done the Level demo a few times, his anxiety has subsided. Overall, people seem impressed with the product and interested in trying it. Derrick set Jan. 21 as the date to start onboarding some pre-order people for Level. He is trying to keep things in perspective when it comes to both positive and negative feedback. So, he is preparing answers to address questions and concerns about the product’s features and functions, or lack of. Ben’s thirsty for more feedback, customers, and interaction. Fortunately, overall feedback for Tuple has been strongly positively. However, any negativity can be brutal. It’s a mental game. So, he tries to not fear feedback or let it derail progress. Instead, he focuses on celebrating successes. Ben has been busy. The alpha launch date for Tuple was Jan. 7. He was nervous about it, but so far, it’s going well. One participant said, “I’m sort of surprised you’re calling this an ‘alpha,’ because everything seems to work!” Ben was glad to hear it, but admits that’s not totally true. He’s still far from where he wants to be with Tuple, but is definitely on the right track. Derrick has been hard at work, too. He continues to develop Level and knows that there will be ups and downs with customers, functionality, etc. But, he continues to move forward and strives to help others solve problems associated with team communication. 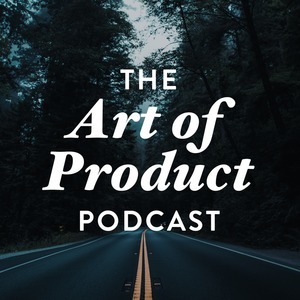 If you listen regularly to the Art of Product podcast, then you’re probably familiar with the ongoing joke: How long does it take before we mention Steve Schoger and Adam Wathan? Well, today is your lucky day because not only do Derrick and Ben mention them, but Adam is once again their special guest. Adam is a software developer, writer, speaker, and entrepreneur. 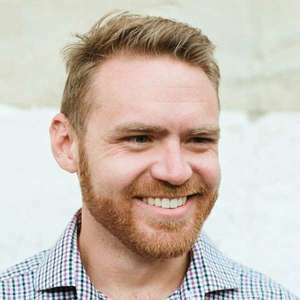 Also, he is the creator of Nitpick CI, host of the Full Stack Radio podcast, and author of Refactoring UI and Refactoring to Collections. He describes the process of successfully making, promoting, and selling courses on the Internet. Plus, Steve makes a special appearance to share his side of the story!